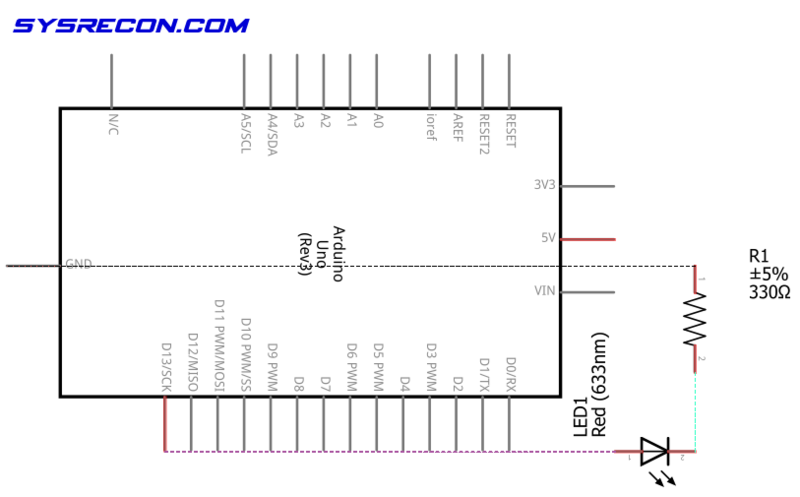 In this tutorial we will make an LED (light emitting diode) blink at specific intervals. 3 connection wires (preferably male-male breadboard jumper wires and in 3 different colors. In this tutorial we will use Black for Ground, Red for 5v and Yellow for Arduino output). 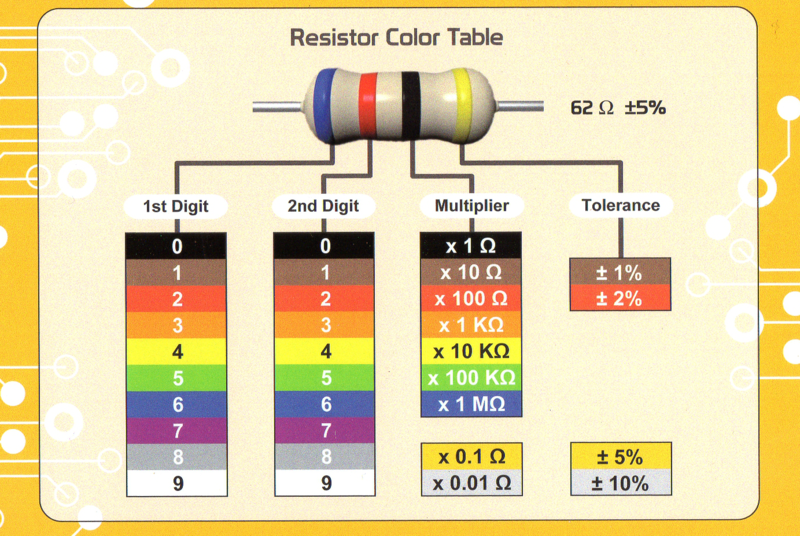 330 Ω Resistor – The color bands should read Orange, Orange, Brown, Gold. The direction of the resistor when placed on the breadboard is irrelevant. 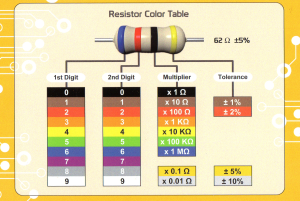 Some resistors have the color bands grouped together close to one end. Hold the resistor with the closely grouped bands to your left and read the resistor from the left to the right. Also, the first band can’t be silver or gold. Turns on an LED on for five seconds, then off for five seconds, repeatedly. Once you have entered the code into the IDE, click verify to ensure the code compiles and then click upload to get the sketch onto your Arduino. 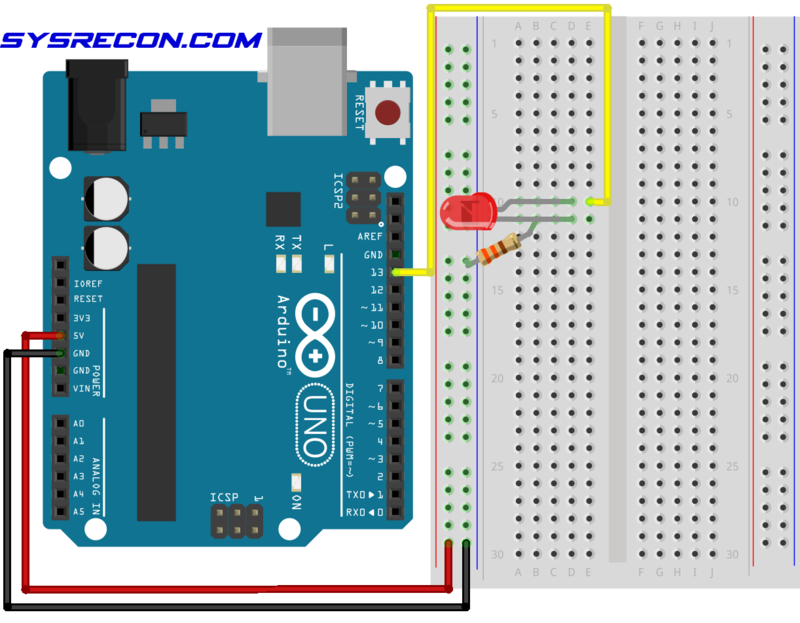 After a few seconds the Arduino will restart and you will see the sketch begin to execute. You should also notice that the Arduino has an LED on-board that will sync to your LED on the breadboard. If you do not have the components to create this circuit, you can still test the source code with the Arduino’s on-board LED. We hope you enjoyed this Arduino tutorial. Keep checking back as there will be many more to come!